Welcome to the inaugural Surface Engineering for Research & Industrial Applications (SERIA) Technical Symposium 2017 organised by Singapore Surface Engineering Association (SSEA) & Sphere Exhibits Pte Ltd that will co-located with the 4th edition of Manufacturing Solutions Expo (MSE) 2017. Submit your Title and Abstract NOW! SSEA is pleased to take this opportunity to curate a technical symposium named "Surface Engineering for Research & Industrial Applications (SERIA) 2017" to complement MSE 2017. The 2-day Symposium will take place from 26 to 27 October 2017 and held alongside with MSE 2017 at Singapore EXPO, Hall 4A. I join with Dr. Gopala Krishnan, the chair of organising committee, sincerely invite fellow members and industry partners to visit Singapore this October; seize this golden opportunity to meet and network with suitable vendors and gain valuable insights from the Symposium and Exhibition. As the disruptive technology is now the key challenge to overcome, I believe that companies are looking out for possible partnership both locally and regionally to stay competitive, exceeding their business goals. 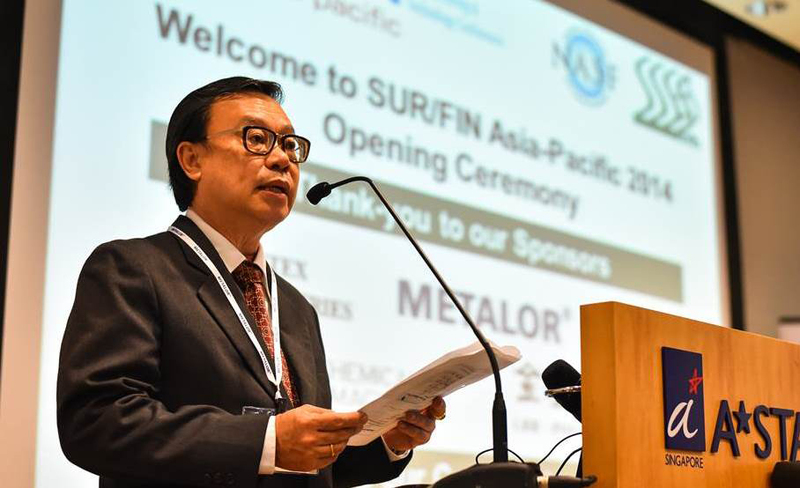 Therefore it is appropriate for Singapore to host such a thematic and dedicated event for the surface engineering arena. With the experts from many countries, we can share our experience on the future trends and technology that is changing the landscape of the surface engineering industries for mutual progress and benefit. If you have technical paper to present, showcase your advanced technology and techniques or attend as a delegate, we welcome you to submit your abstract(s) and requests to the organiser directly. Do look out for more updates on the websites at www.aseansurfin.org or www.ms-expo.com. Hereby, I look forward to welcoming you at SERIA 2017! MSE 2017 is positioned as one of the MUST attend trade exhibtions in the ASEAN region, focusing on the key manufacturing technological advancements leading towards the Future of Manufacturing to improve business productivity and efficiency within and beyond manufacturing industries. BE INVOLVED and PARTICIPATE at the Surface Engineering Pavilion!